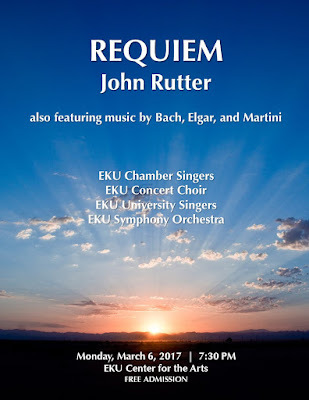 The EKU Chamber Singers, Concert Choir, and University Singers will join forces with the EKU Symphony Orchestra on Monday, March 6 at 7:30 PM at the EKU Center for the Arts. The first half of the program will feature music by J.S. Bach, Edward Elgar, and G.B. Martini. 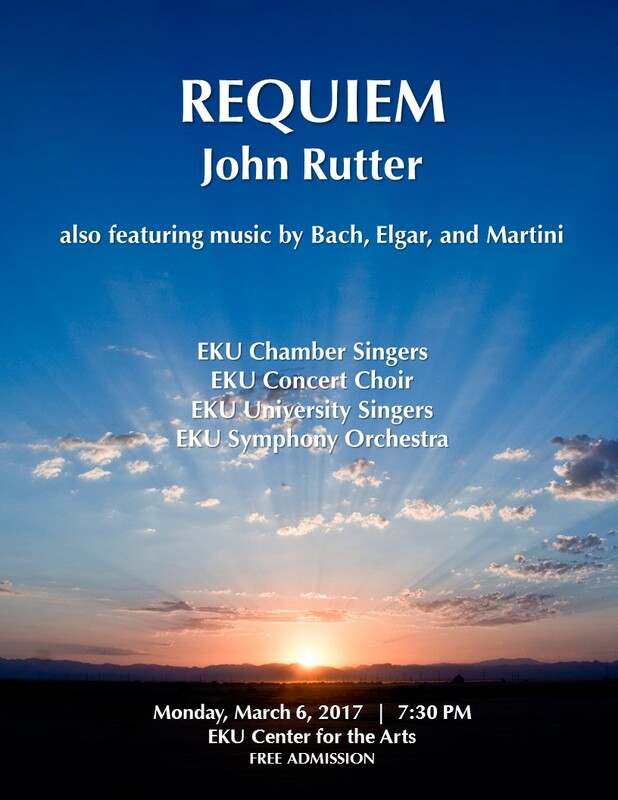 After intermission, the combined choirs and orchestra will present John Rutter's Requiem. The ensembles are led by Dr. Richard Waters, Director of Choral Activities, and Professor Jeremy Mulholland, Director of Orchestral Activities and Chair of the School of Music. Soloists are Dr. Joyce Hall Wolf, Dr. Sherri Phelps, Michael Brian Welch, Chase Ramage, and Emily Schrader.